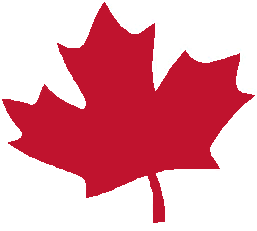 Canada Immigrants and Citizens Network - free information and inquiry services on immigration Canada, citizenship, visit, study and work in Canada. Canada is the second largest countries in the world. It is one of the safest countries, and a country attracts millions of immigrants from all over the world. Canada is the home of many different ethnic groups and provides the best service to them. Canadian Immigrants and Citizens Network is a non-profit organization dedicated to provide free information to people who are citizens, residents of Canada, interested to immigrate to Canada, interested to study in Canada, interested to work in Canada or interested to visit Canada. This website is your best source of free information about immigrating to Canada, settling in Canada, working in Canada, studying in Canada and visiting in Canada. Although there are advertisements in this website, such as immigration lawyers, immigration consultants, high schools, colleges, universities, real estate, airlines and ship forwarders; we do not endorse any service or product in any kind. If you have a unique situation and need further assistance, please feel free to Contact Us. For more general information, please browse the Citizenship and Immigration Canada site. Province: Alberta, British Columbia, Manitoba, New, Brunswick, Newfoundland and Labrador, Nova Scotia, Ontario, Prince Edward Island, Quebec, Saskatchewan, Northwest Territories, Nunavut, Yukon. Cities, Towns and Counties: Edmonton, Calgary, Vancouver, Victoria, Burnaby, Surrey, Coquitlam, Richmond, Winnipeg, Saint John, Fredericton, Hamilton, Greater Toronto Area, Toronto, Scarborough, North York, Etobicoke, York, East York, Mississauga, Brampton, Caledon, Oakville, Burlington, Halton Hills, Milton, Richmond Hill, Markham, Vaughan, Aurora, Newmarket, East Gwillimbury, Georgina, King City, Whitchurch-Stouffville, Pickering, Whitby, Ajax, Oshawa, Uxbridge, Brock, Scugog, Clarington, Barrie, Guelph, Niagara Falls, St. Catherine, Kitchener, Waterloo, Charlottetown, Quebec City, Montreal, Regina, Whitehorse, Yellowknife, Iqaluit. This website is for information only and we do not provide accounting, legal, tax or any other professional advice. To the best of our knowledge, all information on this site is accurate at the time published. However, we are not responsible or liable in any manner in respect of the results of any action taken or not taken in reliance upon information in this website and our consultations.